7301 EP ST. THOMAS & PRINCE (1979) Flowers*. 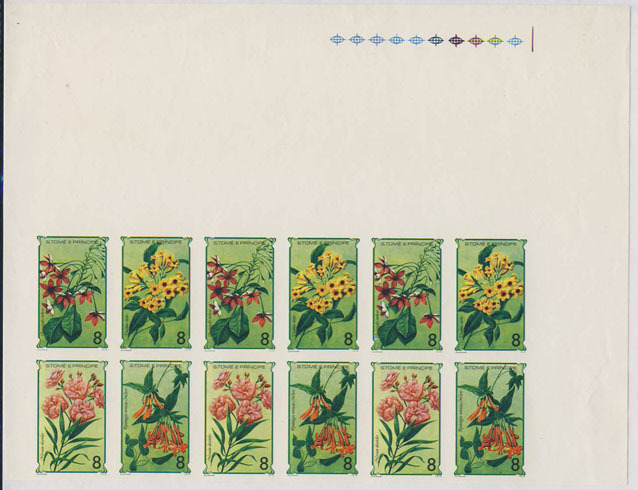 Imperforate proof sheet consisting of 3 blocks of 4 se-tenant. Scott Nos 503a-d, Yvert Nos 537-40. 7302 EP ST. THOMAS & PRINCE (1979) Flowers*. 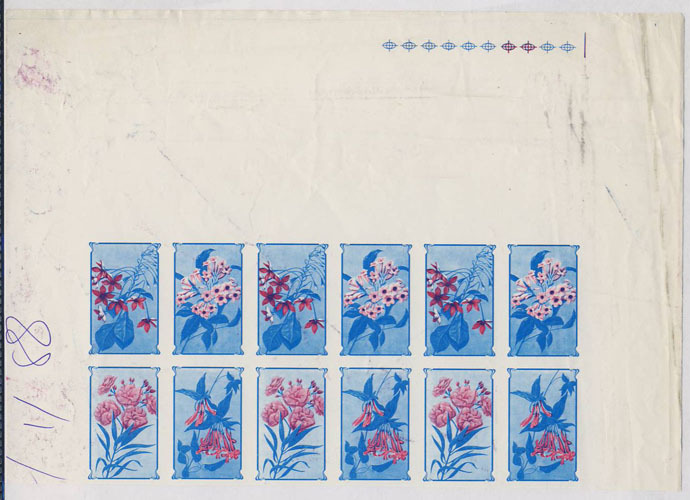 Imperforate proof block of 4. Scott Nos 503a-d, Yvert Nos 537-40. 7303 EP ST. THOMAS & PRINCE (1979) Flowers*. 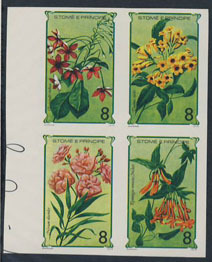 Imperforate trial color proof sheet consisting of 3 blocks of 4 se-tenant. Scott Nos 503a-d, Yvert Nos 537-40. Some scuff marks and wrinkles in margins. 7304 EP ST. THOMAS & PRINCE (1979) Flowers*. 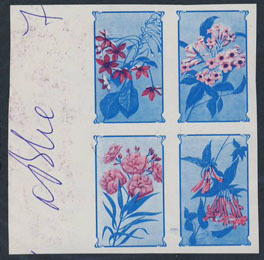 Imperforate trial color proof block of 4. Scott Nos 503a-d, Yvert Nos 537-40.